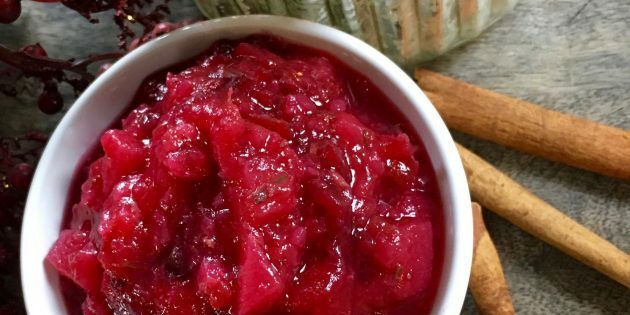 This gorgeous, delicious gluten free cranberry-pear sauce is sure to be a hit this holiday season! It is super quick and easy to make and does not include any refined sugar. Instead, it gets its sweetness naturally from ripe pears and a touch of real maple syrup. 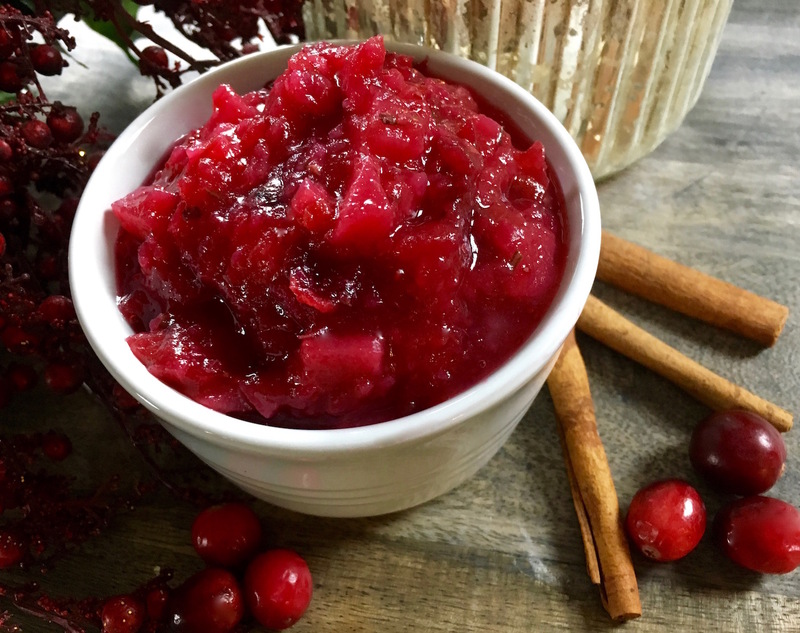 Once you try this recipe, you’ll never look at store-bought cranberry sauce the same. If you click on any of the links associated with this post we will receive a small stipend! Thank you for supporting my recipe addiction! When I made this sauce I used my All-Clad Saucepan. It holds about 1 and a 1/2 quarts and was the perfect size for this recipe. These pans are a little on the expensive side but completely worth the investment because they will last you a life time! They are professional quality with a nonstick stainless steel interior and even heat distribution. 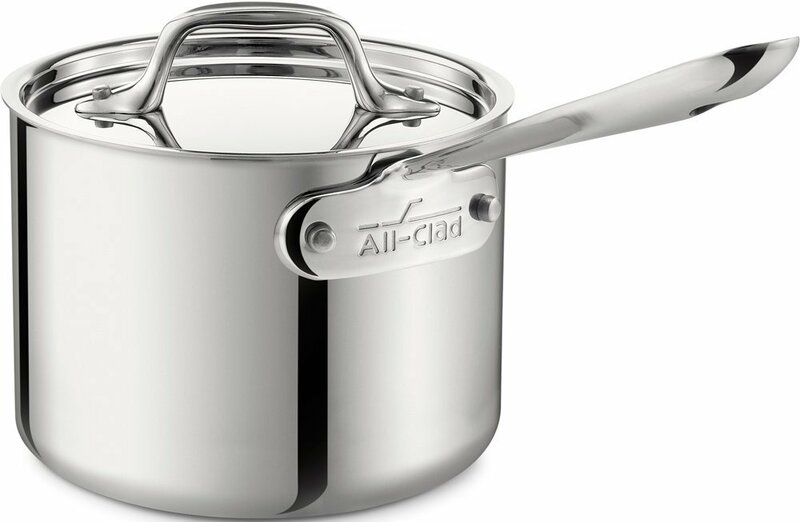 This saucepan has a smaller base with tall sides that allows for heat retention while helping limit the amount of evaporation. They are oven, broiler, and dishwasher safe as well. Click on the link to check them out!! If you like your sauce a little smoother like me, use a food processor to achieve the consistency that you desire. 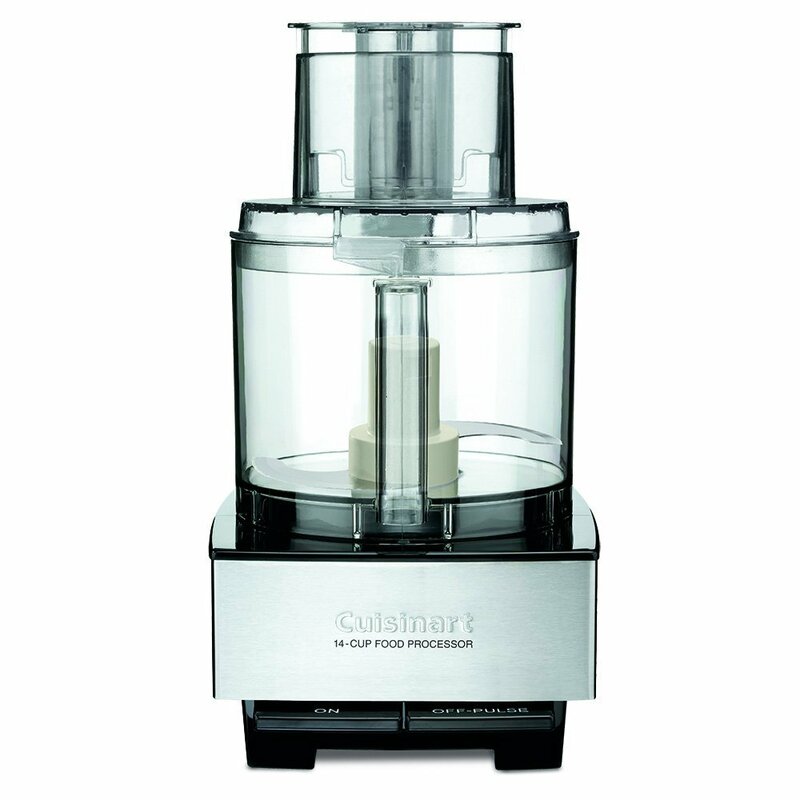 I used my Cuisinart food processor and I love it! Whether you are just whirling up some sauce to kneading bread dough and so much more this thing can do it all! This food processor is the big one and holds about 14 cups. I prefer the large capacity one verse the smaller ones simply because I don’t have to empty it out so often when shredding cheese or cutting up lots of veggies. It is also super easy to clean with no ridges on the inside for food to collect or bunch up in and all parts (except the base) are dishwasher safe! Click on the link or picture to try it out for yourself!